UPDATE: New video of a collaborative, cloud-based mapping experiment. Mapping is essential for mobile robots and a cornerstone of many more robotics applications that require a robot to interact with its physical environment. It is widely considered the most difficult perceptual problem in robotics, both from an algorithmic but also from a computational perspective. Mapping essentially requires solving a huge optimization problem over a large amount of images and their extracted features. This requires beefy computers and high-end graphics cards – resulting in power-hungry and expensive robots. Cloud robotics, a shorthand for the idea of leveraging the Internet for robots, offers unprecedented opportunities for robot learning. Apart from using the World Wide Web for faster communication or faster computation, a key opportunity is to allow robots to create and collaboratively update shared knowledge repositories. Hosted in a shared cloud storage infrastructure, such knowledge bases for robots could enable robots to cope with the complexities of human environments and offer a simple, powerful way for life-long robot learning. 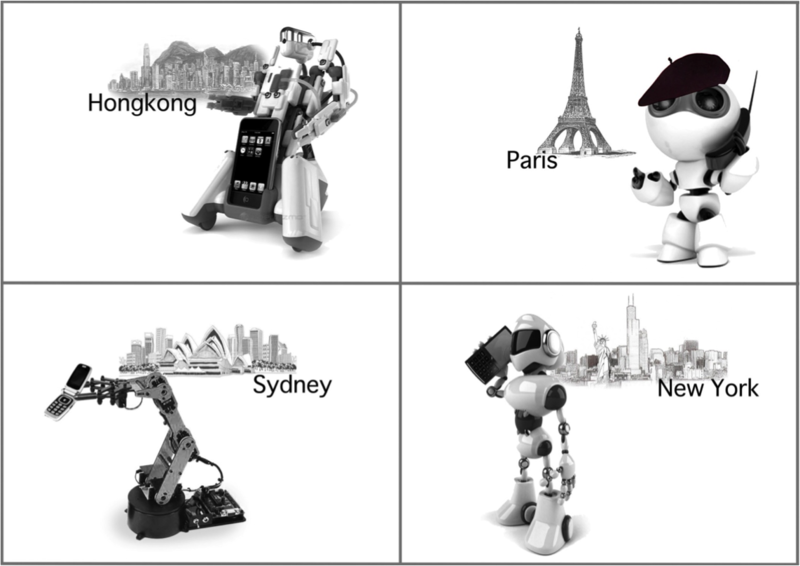 ….. straight from Robotics Hackathon HQ…..
We are very happy to announce the results of the Cloud Robotics Hackathon 2012. We combined all the project evaluations from the judges and chose the top three projects which will be awarded awesome prices. In third place we find an excellent project that uses a complex robot behaviours to encourage discipline and cleanliness in humans. We really enjoyed the humorous presentation, usage of the cloud and autonomous navigation. The second place goes to a very impressive project involving autonomous navigation, path planning, communication via the robotic cloud, a crafty game board, and funky smiley faces on a smartphone. The complexity, the attention to detail, and the overall completeness of the projects were most impressive and showed the awesome hacking skills of the team. Unfortunately, we cannot give prices to everyone although we think every team did great and truly impressed us with what they could come up in a single weekend. We invite you to have a look at all their amazing project presentations. Keep Hacking Robots, Keep Hacking the Future. 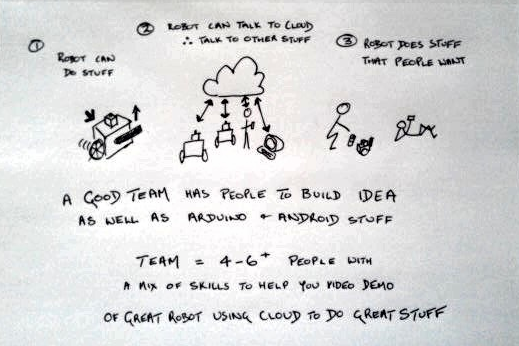 Lots of hackathon stuff posted on our new Google+ page for Robot LaunchPad so check out all the videos/demos/pix. More than 60 people showed up to the Hackathon, making us the largest event next to the Montreal Hackerspace which had 100 on opening night. We had 10 teams working over the weekend and have posted demos of working cloud enabled robots from the final session. There were events in 7 locations around the globe, so each location had a presentation and semifinal and the mothership in Montreal will be choosing the final winner today. The two Santa Clara/Silicon Valley teams voted best and moving through to the finals are: Oddwerx (by OLogic) and HomeCast. 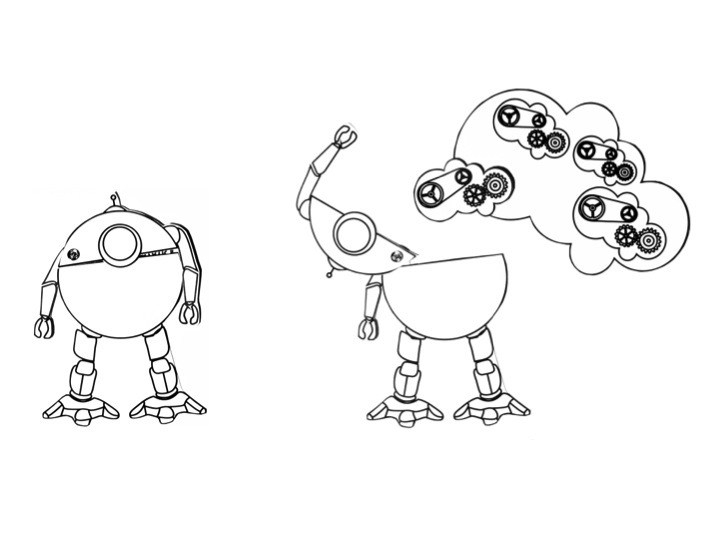 Oddwerx used their own robot(s) to play tic tac toe as your avatar or proxy, so that you and your friend can be located anywhere but control the robot moves via cloud. Hopefully the Oddwerx robot will be on kickstarter soon. HomeCast used the DFRover and developed a ‘house sitter/home watchdog’ to roam the house while you are away, checking on temperature, humidity, videoing pets/intruders etc. The possibilities are limited only by the range of sensors. A good team has a balance of skills including people & design skills, learners and experts. The technical challenge is only one part of building a great robot demo. 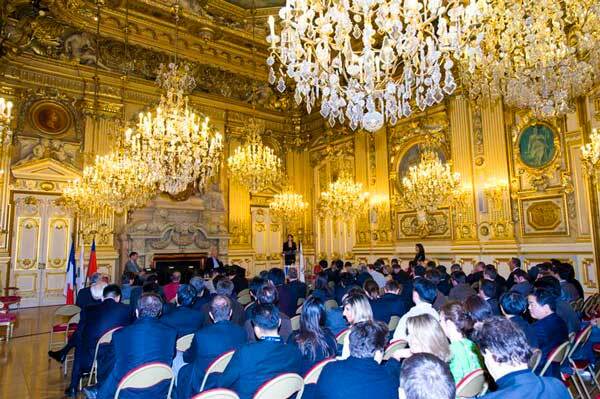 In Lyon, France, 14th to 16th March, 2012. Save the date! Artificial intelligence: Utopia or dystopia?